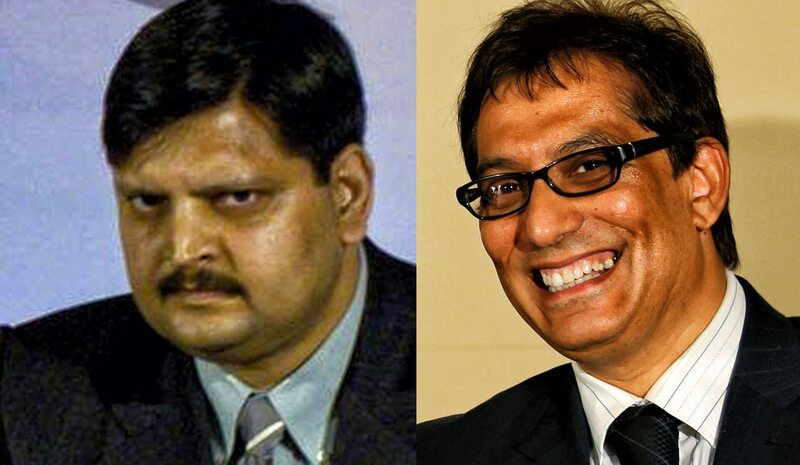 Once drawn to each other through a bond of fealty to the ANC, Independent Media’s Iqbal Survé and the Guptas’ Oakbay Investments are now are at each others’ throats (in court) in a nasty dispute in which Oakbay is claiming a 50% share of Survé’s Sekunjalo Independent Media’s investment in Independent Media, a chunk it says it was promised in 2012. Court documents reveal the making of clandestine boardroom recordings and allegations of dishonesty, general skullduggery and fear and loathing. It couldn’t have happened to nicer people. By MARIANNE THAMM. Remember 2012? No? Jacob Zuma had only been the country’s president for three years at that point. It was the year Julius Malema was expelled from the ANC (the EFF perhaps not even a blip on his mental radar yet) and the country’s growth rate was 2.5%. It was a year of prolonged strikes in the platinum belt that culminated 16 August in the death of 34 miners and the wounding 78 others when police opened fire at Marikana. In 2011 Independent News and Media South Africa (IM), owned by the Irish-based Independent Media, published an invitation to interested parties to tender for shares in Independent. In other words, they put the business, which owned 19 titles including the Star, the Pretoria News, the Cape Argus, the Cape Times and the Sunday Independent as well as community newspapers and magazines, up for sale. The group had been bought by the Irish in 1993 but was soon stripped of its assets. In 20 years it had become sclerotic and a shadow of what it once was. Costs were cut, newsrooms depleted and juniorised and technology was antiquated and inefficient. The powerful company that had had 5,000 employees was a shadow of itself with only 1,500 remaining employed by that time. It was thought that the sale would be a good thing for the group and would revitalise the South African media landscape. But who would want to buy the old wheezing titanic and for how much? In December 201o the Gupta family launched their newspaper The New Age which unashamedly supports the ANC and President Zuma in particular and which also began to attract lucrative government sweetheart deals including jointly hosting “breakfasts” paid for by government departments and State-Owned Enterprises like SAA and Eskom and broadcast by the SABC (taxpayers in other words), while Eskom purchased 63,000 subscriptions to a newspaper that no one wanted to read (nothing much has changed on that front since then). The Gupta family were understandably keen to extend their influence in the media. This was before they launched ANN7 three years later. And so when the Irish announced they were having a garage sale, Survé’s Sekunjalo Independent Holdings (SIH) as well as Oakbay jumped at it and both companies submitted tenders for the buying of IM shares. Survé, in papers filed at the North Gauteng High Court, sets out events as they unfolded in the competitive bidding process. “The competitive bidding process was divided into a number of phases, the first being the shortlisting phase. One of the key qualifying criteria as to the suitability of the bidders in the first phase was their ability to demonstrate the written support of a credible financial institution to back their bids. As far as I am aware only five bidders survived the first shortlisting phase and proceeded to the due diligence phase of the process,” says Survé. Oakbay didn’t make the shortlist but Surve’s consortium, Sekunjalo Independent Media (SIM), did. At the time Survé had “engaged” Moegsien Williams who was the then editor-in-chief of Independent Media (and the current editor-in-chief of The New Age), as well as other senior black editors and journalists. These were all, says Survé, to form part of a broad-based black economic empowerment consortium that would hold shares in IM. But Williams suddenly left Independent to join The New Age in 2012 and it was he who had suggested that the Gupta rag work with Survé in the “takeover” of IM. An “Option Agreement” in which Oakbay was granted an option to subscribe to 50% of the shares and claims in SIM was concluded after a meeting between Ajay Gupta, Williams, Yazeed Evans of Oakbay and Survé in November 2012. In February 2013 SIM successfully won the bid to buy IM for R2-billion, an amount Survé raised from the PIC, the acting agent of the Government Employees Pension Fund, which bought 25% while SIM would acquire 75%. In April the deal with IM Ireland was sealed but while the PIC had originally provided a letter of support for the entire R2-billion, it later reduced this to R1.4-billion. Survé approached the China African Development Fund and the China Development Bank to provide R1-billion, which it did through Interacom Holdings. Interacom would also buy 20% of the shares and claims in IM. But just when it looked like everything was ready to roll, the PIC reduced its exposure to the transaction to R850-million, leaving SIM with a shortfall of R150-million which it secured from the Southern African Clothing And Textile Workers Union (SACTWU). In so doing SACTWU became, on 7 August 2013, an 8% shareholder in SIH. About two weeks later Oakbay called for its pound of flesh and went knocking for its Option Shares. But the two parties were unable to agree on just how much these shares are worth and have been unable for several years to settle on an amount the Guptas and Oakbay needed to pay. At a dead end, the parties both opted to appoint an independent expert, one Dr Stephen Firer, an accountant. The dispute has now ended up in court with the Guptas and Oakbay suing Firer, SIH, SIM and Survé. The Guptas are essentially seeking to have Firer’s determination on 23 July 2015, that Oakbay pay R729-million for the option shares, to be set aside and to be declared “of no force or effect”. The Guptas allege that Firer, who later admitted in an e-mail to all the parties that he had made an error “when I said we had agreed to PIC money lent to SIH would be part of the purchase price. I see now that my e-mail indicated that this was not so. I apologise for this mistake” had been dishonest and ‘capricious’. The price he came up with, they reckon, was based on a “manifest error”. “If it was an honest mistake, the first respondent [Firer] would have filed an affidavit explaining how it came about that he made such a mistake. A negative inference should be drawn from his failure to do so,” said Oakbay’s Howa in his replying affidavit. What the court papers do reveal is that the Gupta family and Oakbay representatives secretly recorded their first meeting with Firer, an action, says Survé, that proves that Oakbay “always intended to seek to have the first respondent’s [Firer] determination set aside on review should the amount determined by him be higher than that which Oakbay wished to pay”. Two little exit clauses in the entire deal and which have been there from the start are that the deal with Oakbay needed to be approved by the Competition Commission and, much more important, by the PIC “consenting, in writing, on terms acceptable to the Company, SIH and Oakbay, to Oakbay acquiring the Option Shares”. In February this year Survé approached PIC CEO, Daniel Matjila, to inquire as to whether the PIC would consent to Oakbay acquiring 50% of the shares in SIM. Matjila replied on 23 March that various factors had been taken into account including “the role we play in the broader market economy, the undertakings we have and continue to make regarding competition and our requirement to ensure that there is no anti-competitive behaviour in our activities and those of our investee companies”. He had also, wrote Matjila, taken into account “the best interest of our investment as a funder and equity holder in the Borrower and ultimately the assets holding entity, Independent Media (Pty) Ltd, the need to safeguard our expected returns as well as the association we have taken in co-investing with yourselves and Interacom Holdings Limited”. In the end he concluded that “we do not believe it will be in the interest of our investment, the borrower company as well as the ultimate asset holding company to consider your request favourably”. In other words, “no, the Guptas can’t have half of Survé’s SIM”. Before the matter was due to be heard on Friday last week Survé’s legal people wrote to the Guptas’ legal people saying that since the PIC had “declined to give its consent” Oakbay’s “call option” could not and cannot be implemented and that the court application itself “is rendered moot”. The matter was postponed indefinitely.